Ogden on Politics: Did the Pike Administration Intentionally Defer Proper Maintenance on Guion Creek Elementary School to Gain Leverage on Referendum? What you say is sad, but true, Paul. Its a pretty widespread ploy to defer perhaps not all maintenance, but much, in order to allow the cosmetics of a building deteriorate. Visitors make the assumption that if the wallpaper is peeling or the carpet getting worn, then the structure is kaput. Perhaps when the millions upon millions are initially spent on each school building, an expiration date can be included on the threashold along with the opening date. We would not have the treasured old buildings we have today, if those in charge of those facilities didn't make the timely repairs - and that would be a huge loss. The current caretakers of our public facilities, including schools, should be more penny wise and less pound foolish. Keep up the good work. Folks need to get a glimpse of what is business as usual in our school districts. Thanks HEI. I figured the deferred maintenance was a ploy by the adminstration. Unfortunately after awhile deferred maintenance does turn into more substantial problems. You speak of others being a class act. You are definitely a clASS act. To refer to those that oppose you as the "Pike Township Residents Assassination" shows what kind of person you really are. To suggest that the administration intentionally deferred maintenance was again showing your backside. The parent that responded did not agree with you, she didn’t have all the facts on that so couldn’t respond appropriately. That comment was totally unfair to those that have tried to maintain a school that is falling apart. It’s like putting duct tape on the Titanic, though you wouldn’t know as you have not seen it for yourself. Why are you so afraid to tour the school? Bring along another firm and get estimates on a new building and renovation. You make is sound as though there are just cracks in the foundation. Without seeing this for yourself how can you even speak to this? These aren't just cracks in the foundation. When you can stand in a classroom and see the playground through the walls, this is more than just cracks. Many of the others running for the board have gone to the school to see for themselves but you can't take the time (or is it because that side of Pike Township is not important enough for you). It’s not even important enough for you to attend board meetings; you have to have your lackey tape them for you for later viewing. We do not need you or your views on the Pike Township school board. All of us should ask, how much of the property tax I am required to pay, goes to Barnes % Thornburg, and WHY. Then, complain. Well, Pike22, the "Assassination" was simply a spell check replacement error. Thanks for jumping to the conclusion that I did it deliberately. Do you not dispute that the school's roof has been leaking for years? You don't think that should have been replaced? You don't think that's deferred maintenance. Any building contractor will tell you the worst thing you can do to a building is to let a roof persistently leak. It has to be fixed. And since it's 39 years old, it should have been replaced. Failure to do so has undoubtedly led to greater damage to the school. Why aren't you asking why the school board members didn't ask for an independent review of the school and fixing it versus rebuilding? It is astounding to me that school board members are simply accepting what numbers they are being fed by a contractor wanting the job. Until they make the case with independent analyis, why should there be the assumption that it be rebuilt? Don't forget this is a school board that wants to take a wrecking ball not only to Guion Creek, but Eastbrook, College Park and New Augusta. The last two are around 20 years old. And they want taxpayers to pay for their ill-conceived building spree. I plan to get over to Guion Creek and review it before the referendum. I've been in it many times before. I have no doubt the school has gone downhill and you have the school district to thank for that. The anger should be focused on the administration that has allowed the school to deteriorate, undoubtedly on purpose. Regardless, I most certainly will not support a tax increase on the tax caps to build a new school. As far as Thursday nights, this semester I teach on that night at the University of Indianapolis. As far as my "lackey" videotaping meetings, I have no idea what you're talking about. I wonder though why the meetings aren't being videostreamed now though, like many government meetings. That is certainly something I would support. By the way would I call the PTRA "Assassination?" Their memebers tend to lean against tax increases. Of course it was a mistake. I have to say that you show yourself to be exactly what I was saying. You were thoroughly beaten at the meeting by the Pike parents and you immediately responded with the "Assassination" response. Then when I call you on it, you are not man enough to admit it. You blame it on the computer. What a pathetic excuse. The roof has been patched many times. I too am not happy that the fixes did not solve the problem. We can all look back and see now that the correct courses of actions were not taken. Hindsight is 20/20. The question now isn't whether correct actions were taken in the past; the question is whether a new school is needed now. The roof is only a small part of the overall issues at the school. Again if you would have ever taken the time to tour the school, you would have seen this. 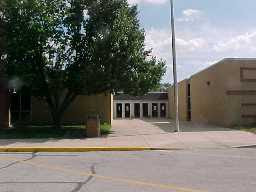 There were other members running for the school board that were against a new school too until they toured the school. Get your head out of the past and focus on the present and the future. The board may not have made all the correct decisions but I do not believe anyone intentionally let the school go just to get a new one. I lived through the renovation at Deer Run elementary. My child was at Deer Run at the time and that was one of the worst decisions by the school board. To me it looks like they learned their lesson at Deer Run and have a better solution for Guion Creek. Let’s take this one step at a time. Maybe College Park won't need rebuilt but this is not about any other school in the district. This is about Guion Creek so we need to keep the focus on this school only at this time. We will deal with the others when the time comes. Getting over to Guion now is kind of late. You needed to tour this much earlier, before you tried to speak about it. My guess is your mind is already made up and no matter what you see; you will not support a new building. I want someone I can trust on the board and you are the furthest person from that.